Tim Sandle has written an introductory, peer reviewed article on bacterial adhesion, exploring the implications for bioburden, sterilisation and water testing. “The adhesion of bacteria to surfaces relates to such factors as surface charge, surface energy, and the characteristics of polymers on bacteria (leading to the formation of biofilms). 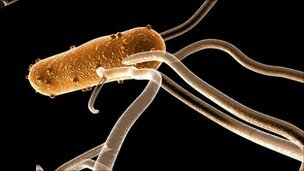 The way in which bacterial cells adhere to surfaces, or within communities, is of great importance to pharmaceutical microbiologists. For example, surface binding is a concern for cleaning and disinfection, the way in which bacteria may form a biofilm community within the pipework of a water system, or in relation to binding to a product formulation. Outside of the pharmaceutical environment, the binding of microbial cells to human host cells is important to areas including dentistry and medical implants, grafts, and IV lines, drains, stents, and catheters. The article has been published by the Institute of Validation Technology (IVT) and is available for IVT members here.